MONDAY started like it would any other week for Ben Thomas, but was quickly turned upside down - literally. 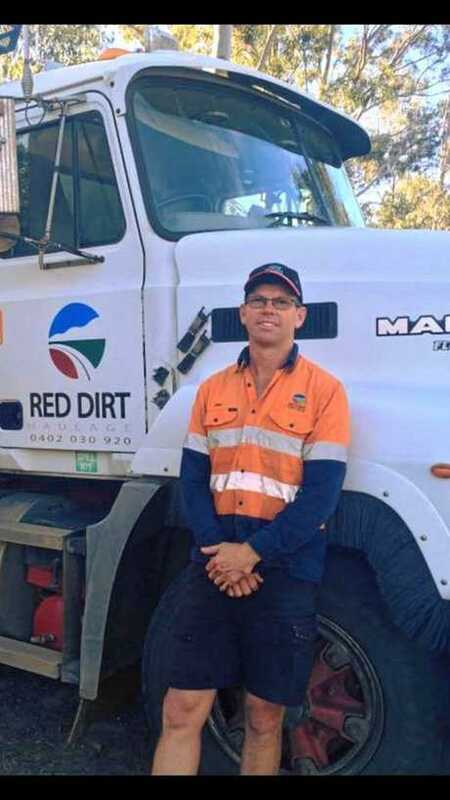 The owner and operator of Red Dirt Haulage and Earthworks drives the Bruce Highway every day but got the fright of his life when he was involved in a two-truck collision. 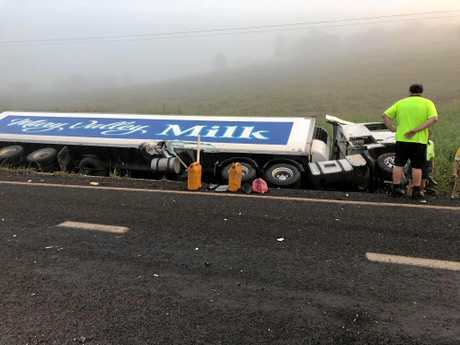 The other truck, carrying milk, then landed in an embankment on the side of the highway just south of Childers, while Mr Thomas's truck landed on its roof on the road. 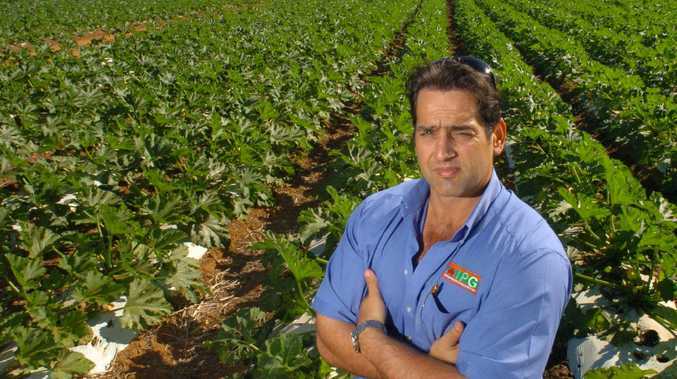 "I remember consciously hanging on to the steering wheel because you hear stories of arms and legs getting thrown out of the window and crushed by the car," he said. 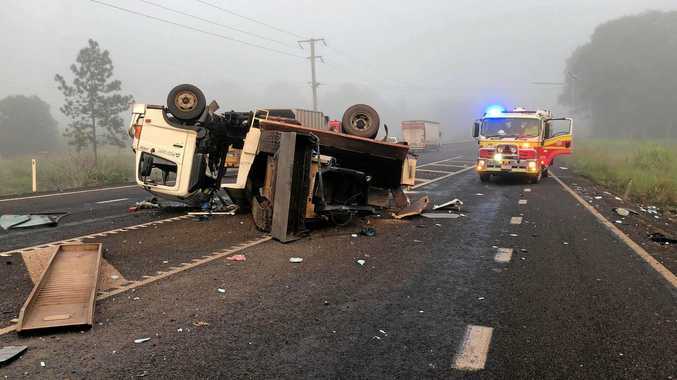 "Hanging upside down I realised I was alright, but then a second truck came through and clipped my bullbar because he couldn't see me for the fog. "Then I realised I was in the middle of the highway so tried to find my seatbelt buckle to get out." Mr Thomas said he was thankful everyone was uninjured. Given the debris at the scene and high volume of traffic on the stretch of highway, "it could have quite easily been worse". He said he received minor bruising and soft tissue injuries in the crash but was thanking his stars for the invention of seatbelts. "I'm grateful for seatbelts," he said. "I've always worn one and always will after that." Mr Thomas said the efforts of emergency services was second to none. At the scene within minutes of the crash, crews treated the patients and helped Mr Thomas's wife gather what belongings they could from the road. He said support from the community had been overwhelming, with people he's never met offering help.